In this post, I am going to show you how simple it is to create a custom calendar using Power Query. If you follow the steps below, you will get a good sense of how capable Power Query is, and may spark your interest to learn more about it. There are lots of different ways of creating a custom calendar for use in your Power Pivot workbooks, and plenty of discussion about them on PowerPivotPro.com (25 prior to this one). Historically I have just used an Excel workbook that I created with all the relevant columns, and enough rows of dates to cover for the next year. 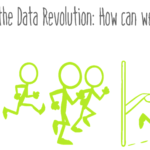 There is one problem with this approach however – the date over runs when you are looking at last years’ data in a pivot. As you can see above, we have dates into the future that are showing sales for last year with no sales this year – because we haven’t had “this year” yet. It is a pain to change the import filter on your Excel calendar each time you refresh (not practicable actually). You can write some snappy Excel functions in your source calendar table to code around this, or you could make your DAX more complex, but better still – I think this is a great opportunity to learn some new skills – Power Query. Building a custom calendar from scratch in Power Query is actually quite straight forward, and I am going to take you through it step by step below. First Create a New Blank Power Query Workbook. The Blank Query option is right at the bottom of the “From Other Sources” menu. If you haven’t done so already, turn on your Formula bar from the view menu. You will need this so you can easily see the Power Query Code that is generated by the UI tools, and also to allow you to edit the code by hand when needed. The first step is to use the Power Query Language in the formula bar to create a list of dates. Note that the Power Query Language is case sensitive so you must capitalise correctly. and then press the “Invoke” Button. Note how Power Query gives you some help about the function you just typed in. Enter a start date, the number (count) of days you want and the granularity of the calendar (step 1 means daily), and press OK. For now we will just select 100 days. But we don’t actually want 100 days, we want a “dynamic end date”. We need to change this new line of code to create the dynamic end date. You just need to make sure the date used above matches the first date in your list. As I am sure you can work out, this code uses a function Duration.Days to count how many days there are between today’s date and the start date you entered. There are other ways to do this, including this one described by Dominik, any approach is fine. If you want your calendar to have a 1 day lag (ie when you refresh it today, you want all dates up until yesterday’s date, then simply subtract 1 from the formula above like this. Note the minus 1 is outside of the brackets. Simply click the button on the screen. Just accept the default options on the screen prompt. There is a button for this too. The Power Query team has thought of everything! The Index column starts at 0 by default (see 1 below). I like my index to start at 1, but it is easy to change. You can either click on the cog icon next to the Added Index step (see 2) or you can simply change it in the formula bar (see 3). So the Calendar Table is now starting to look pretty good. To do this, I just duplicated the Year column, converted it to text and then split the column so that I only ended up with the last 2 characters. I’m just essentially concatenating the Short Year, the Quarter Number with some formatting text added in for good measure. A bit of tidy up, move some columns and I ended up with this. A great Calendar that automatically updates to today’s date every time you refresh your workbook. If you don’t want to go through all these steps yourself, you can just copy and paste my code from here. I recommend M is for Data Monkey by Ken Puls and Miguel Escobar. I have written a review about this book here. 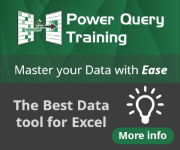 There are also some great reference materials on the Internet for Power Query. I keep a list of the good ones I find on my links page. My next project is to work through the challenges of a 4/4/5 calendar table. I would love to hear from anyone that has already attempted this using Power Query. Edit March 2015: Here is a link to the next post covering the 445 calendar. Matt Allington is a is a professional Power Pivot consultant and trainer based in Sydney Australia. Excellent and well done! Thanks for sharing. Thanks for alerting me to the problem. If you cut and paste the substitute code now – it will work. Hey Matt- I’m running into this issue as well. Did something change over the past year? Hi Matt. There was a WordPress issue that was adding some rogue code to the string. I have fixed it and tested it and it works now. Matt – I enjoyed this article and I have a interest in developing a 4-5-4 calendar. I would be willing to help you work on the development of your 4-5-4 calendar. I work in the retail industry in a reporting capacity and may be able to help provide some insights. Thanks Micheal. If you have any repeatable logic to calculate the first week of the year, that would be of interest. From experience, there are lots of different approaches, which is probably why 445 is not a standard feature – because there is no standard. Matt, I am sending you my spreadsheet that I put together for my company’s calendar. It follows the calendar of the NFR (National Federation of Retailers). I will email it to you at the address you gave to Leonard. Strange, neither gmail nor outlook let me send mail to your email account. Do you know of any tricks that I need to get the email to go. It is a 550 error. Is [email protected] correct? Thanks for trying. I have had a horror couple of days with my ISP with many things not working, including this email address. Sorry about that. I have a 445 calendar that I built in regular Excel using formulas (including leap weeks). I’d be happy to pass that along to you so you can see the logic behind the calculations and see if you can translate that to PQ. No promises as to quality! My question: could you not also take a date table in a database table (or Excel sheet) and filter in PQ to only bring in dates up to and including yesterday via PQ? When it comes to calendars that have infinite unique configurations, that might be easier than coding the calendar dynamically. Love to see your excel formulae – you can email me at [email protected]. It’s a great idea to double PQ with an existing calendar table to control the last date = today. I hadn’t thought of that. Sent. It’s a big file so if you don’t get it, I can figure out a better way of sharing it. Yep, I got it. I have a busy week with training etc, but will get back to this soon I hope 🙂 Thanks for sharing. We use a Fiscal Year Calendar that runs from July-June. In Excel, I have a formula that inserts a Fiscal period column, 1 being July, 2 August and so on. Is there a power query formula that will do this? Hi Rita. It seems that the Date.Month formula does not handle financial years. One way to do what you want is to use an if statement. How about modifying the line that inserts the month number (or take a copy of the column it if you want to keep the regular month number column). So we need a way to track which year we are in because the 1st year you add nothing (just keep the month number), second year you add 12 to the month number, 3rd year you add 24 etc). So by adding (Date.Year([Date])-2013)*12 just before the last bracket, it will add 0 x 12 in the first year, 1 x 12 in the second year, and so on. Just be sure to start on 1 Jan, and make sure the date above (2013 in my case) is a match to the first year in your calendar. I will probably follow up with a further post on turning this into a function at some time, which will make reuse much easier. Thanks Matt. That will work fine. I was trying to identify the Min Cal Year and use it in the formula for MonthID. This works perfect! Thank you!!! My company has a fiscal calendar that begins the first full week of February and runs for 13 “periods” which are 27 days long. I’m struggling with creating a calendar that accommodates our Fiscal Quarters and Fiscal Periods. Any advice?? Use the process I show to Round Up to create your 13 periods (I assume they are 28 days each, not 27 as per your comment). If you read the 445 post link here, you should get a good understanding on how to write a calendar for your use case. thank you very much for sharing – that List.Dates was new to me – very useful! I see that you used quite a couple of steps to create the “Short Year”. With “Text.End(Text.From([Year]),2)” it can be done I one step. This is a great idea! Thanks. Any idea why I cannot Mark as Date Table? I’ve tried this a couple of times, and the Mark as Date Table is disabled. That needs to be done to take advantage of the time intelligence, right? You need to mark as date table to use I built time intelligence functions. You need a date column of one of the types “date”, it probably needs contiguous dates too. Switch to data view, click in the date column and try then. Thanks Matt. I hadn’t noticed that the field is created as text. Worked like a charm! How would you write a formula in M to compare a column vs a hardcoded date? Easy excel formula, “IF([@Date]<DATE(2014,1,1),1,0)" but having trouble translating that to M.
if I want to use this approach to generate 2 date tables in my data model, can I somehow generate 2 copies of the date table from one query? Or would I have to use 2 (duplicate) queries? If so, does this slow performance? Or is Power Query smart enough to tell that the queries are identical? Interesting article! I am trying to use just PowerBI Desktop for this, and when I try to use the CALENDAR() function, PowerBI doesn’t recognize it. Is this feature only available in Excel 2016? Thanks for this blog, it has been so helpful that I bought the ebook from Amazon last week and the 2nd edition paperback from B&N last night. I’m stumped and need help. I using PowerBI and I need to create a measure for PY Sales that takes into consideration Leap Year and gives me the proper subtotals for partial months. My formula works great for full months but not for partial months. I’m getting full-month PY sales in the subtotal. Here’s my DAX, how do I fix it? Thanks Matt. I’ll give that a try. If there’s an easier way to do any of this please let me know that too. @Matt, How would I add a WeekNumber column and a year-week? In excel or as a calculated column in PowerPivot, I would use =WEEKNUM([Date], 2). I would also add year week by using =[Year]&”-“&FORMAT([WeekNumber], “00”). I do not know enough about M to translate that. Year Month would also be helpful. Duplicate the date column, then click on this new column and select Transform\Date\Week\Week of Year. If these week numbers don’t meet your business needs, you could divide the ID column by 7, extract the remainder and build your own week of year number that way. But it would depend on your business rules. To build a YYWW number, I would then multiply the short year number by 100 and add the week number. Is there a way to add specific times to the source column? So that there are rows created for 1/1/2015 09:00 AM, 1/1/2015 10:00 AM etc. Start with DateTime.FromText(“2016-03-30T09:00:00”) Then use List.DateTimes(Source, 365 ,#duration(0,1,0,0)) worked. Hi Matt, thanks for the blog, calendar table works great. I have one question though. Is it possible to extend the last date of the calendar table?? I’m working on some forecasts for my database and I need the calendar table to reach the year 2020. You will note in my code that I started with a date (1 Jan 15) and then added 100 days. Later I changed the 100 days for a dynamic end date. In your case, simply work out how many total days you need to get to 2020 and add that number instead of 100, then stop there – no need to make a dynamic end date. Created column has 7 still as 7 (not 07)? What is the column data type? Also Why do you need 07? If you are trying to get it to sort, just use “sort by column”. …so I’m not able to create the relationships described in the book? I normally multiply the year by 100 and then add the month. That gives you the 0 spacing in the final result. Hello, I did all the steps and connected the Calendar Table to my model, but it only shows two columns: Index and Short Year! Why is that, am I missing something? I’m using Excel 2010 and PowerPivot and PowerQuery as Add-Ins. Great tutorial! Thanks. Hello Matt, First of all, Happy 2017! Great stuff Matt! Really appreciate this kind of information, thanks very much! 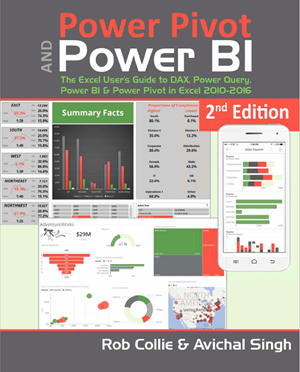 Matt – I am using this in Power BI. Today is 6/8/17 but the most recent date in the table using your exact code above comes back 6/7/17. I did NOT add the -1 as you state will offset to yesterday’s date. I have run refresh to make sure all data is up to date. As expected my KPI is missing the data from today, 6/8/17. Any idea what gives? I was able to make the current date appear by adjusting #date(2015,1,1,) here – Duration.Days(DateTime.Date(DateTime.FixedLocalNow()) – #date(2015,1,1)) – to (2014,12,31). I don’t see any reason why this would cause issues but please let me me know if it will. I used this as the starting point for my date calendar, thanks Matt! Need help with determining how to dynamically extend the calendar end date based on Date Year. This date table will be used to compare actual vs budget. Budget numbers are in the future by another fiscal year so it has to end on March 31st 2019. However, I don’t want to have to modify this calendar each time. Is there a way to tell Power Query + end of next fiscal year at this step? I’ve decided to figure out a way to have Start and End dates generate based on two data tables. Actual (earliest date for start) and Budget (latest date for end). Don’t want anyone wasting time on my question I posted yesterday. If anyone has a link to an article that may help me accomplish my new goal, I’d be most appreciative. Thank you. I followed the instruction on this link to create Calendar Table (https://www.powerquery.training/portfolio/dynamic-calendar-table). Although current date was automatically updated but unfortunately not in Data Model. Error says “can’t refresh the connection. Please go to existing connections and verify they connect to the file or server.”. I’m new to PowerQuery. how do i add more dates to the calendar table in powerquery? For performance, which 2 options are more efficient? Build the Calendar table in…. 2) Bypass Power Query and just start fresh within Power Pivot? Thanks Matt. I appreciate your input.